Light & Darkness Radio: Featured Today! "Heavenwood,The Poodles.."
How powerful/complex and blasting is Metal huh? with so many genres is hard not to fall in Love with it anyways here's today Featured Bands! Heavenwood (PT) - Formed in 1992 under the name Disgorged, HEAVENWOOD quickly established themselves as one of the most important Portuguese bands, alongside of Moonspell. HEAVENWOOD signed to Massacre Records and released two albums in the late half of the 1990′s. «Diva» and «Swallow»sold more than 40.000 copies worldwide and put HEAVENWOOD in successful European tours with bands such as Atrocity, In Flames, Theatre Of Tragedy and Lake Of Tears. In 1998, high on the track of their «Swallow» album (which featured guest appearances by Gamma Ray mastermind Kai Hansen and – at the time – Theatre Of Tragedy front lady Liv Kristine),HEAVENWOOD was the first Portuguese band EVER to play in Wacken Open Air. After that, more tours with bands such as Atrocity, Solitude Aeturnus and Savior Machine, but the band quickly folded in a sea of internal problems and line-up changes… until 2008. Then HEAVENWOODreturned ready to break hearts again with their third full-length album «Redemption» released onRecital Records(Independent Portuguese Label)! «Redemption» was recorded in USStudios, Braga, Portugal and mixed & mastered by Jens Bogren (Opeth, Soilwork, Amon Amarth) at Fascination Street Studios, in Sweden. The album features all melodic and catchy HEAVENWOOD trades plus a new energy and experience. The recording is still rounded by special guest appearances (Ozzy Osbourne/ Firewind’s Gus G, Oceans Of Sadness’ Tijs Vanneste and Annihilator’s Jeff Waters) who not only underline but also sublime HEAVENWOOD‘s trademark of Gothic and Dark Metal. Now HEAVENWOOD released their fourth album, entitled “Abyss Masterpiece”, on March 14th, 2011 via Listenable Records. The CD was mixed and mastered by producer Kristian “Kohle” Kohlmannslehner (CREMATORY, AGATHODAIMON,BENIGHTED) at Kohlekeller Studios in Germany.“Abyss Masterpiece” was recorded again at USStudios. Editing was completed at 213 Studio in Oporto, Portugal.The album artwork was created by Matthew Vickerstaff of Darkwave Art, who has previously worked with CRADLE OF FILTH, MY DYING BRIDE, among others). “Abyss Masterpiece” features guest appearances by RAM-ZET‘s Miriam Renvag (also known asSfinX) on a track called “Leonor”, alongside Russian symphonic classical composer Dominic G. Joutsen. “Abyss Masterpiece” is an intense album, both musical and lyrically. It has great orchestral arrangements by Dominic G. Joutsen that when added to the guitar riffs made everything become unique, heavier and dark…“Abyss Masterpiece”, Superbly Heavy Dark Melodic Metal! 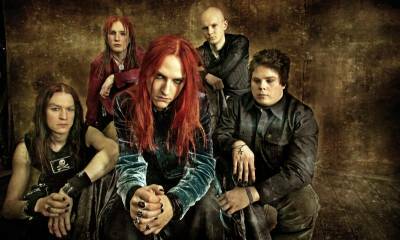 The Poodles (SWE) - The Poodles was formed in the fall of 2005 and six months later they participated in the Swedish leg of the Eurovision Song Contest, which led to the band’s big breakthrough in their native country. The debut album, “Metal Will Stand Tall”, was released shortly thereafter in Sweden, Japan, and Russia. It climbed to the top of the Swedish charts and the first single, “Night of Passion”, went gold after only three weeks and achieved platinum status in addition to being the most downloaded song for three weeks straight. “Metal Will Stand Tall”, contained material written by A-list song writers such as Holly Knight (Tina Turner, Aerosmith, and KISS) and featured two more singles that went top-10 in the Swedish charts. During 2006, the band did more than 100 live shows in Sweden and in January 2007 “Metal Will Stand Tall” was released in Europe on AFM Records. In connection to this, The Poodles toured all over Europe together with Hammerfall and Krokus, doing 31 shows in 18 countries in just 35 days. The band’s second effort, “Sweet Trade”, was released in September 2007 in Sweden, all of Europe and in Russia and Japan. The single, “Streets of Fire”, became the band’s biggest selling single to date, achieving double-platinum status. Shortly after the release of “Sweet Trade” The Poodles headed out on yet another tour over Europe together with Swiss rockers “Gotthard”. The Poodles then did a head-line tour of their own with 17 sold-out shows throughout Europe. Several of the shows on the tour were upgraded to bigger venues, quite a feat for a band that was formed only two and a half years earlier. Late spring 2008, after having participated a second time in the Eurovision Song Contest with the song “Line of fire”, the band proudly accepted the invitation to record and perform the Official Swedish Theme Song for the Olympic Games in Beijing 2008. The result was “Raise the Banner”, which was released on the 15th of July and was the number one hit single in Sweden for most of August 2008. On June 6th 2008, Henrik Bergqvist officially took over the ax-slinging duties from departed Pontus Norgren, premiering at the “Sweden Rock Festival” in front of a crowd of 8.000. This event also marked the launch of one of the biggest summer tours of any Swedish touring act. It spanned over 30 shows all over Sweden and also included a couple of festival shows in Germany. For The Poodles’ third album, legendary producer-mixer Mike Fraser (Aerosmith, AC/DC, Led Zeppelin, Whitesnake) was hired to take on mixing duties. Mats Valentin, a highly gifted Swedish producer and songwriter produced what was to become “Clash of the Elements”. “Clash of the Elements” was released on May 20th 2009 in Sweden and on August 28th in the European territories. It featured the top-10 hit single “One out of Ten” and the all-out rocker “I Rule the Night”. The album was released in cooperation with Universal and marked a new era in the history of the band. Unsurprisingly, the release of “Clash of the Elements” was followed by extensive touring in both Sweden and mainland Europe. Highlights include Firefest 2009, Rockstad Falun 2010 and Graspop 2010. All in all, The Poodles visited 29 European cities during the fall of 2009 and the spring of 2010. 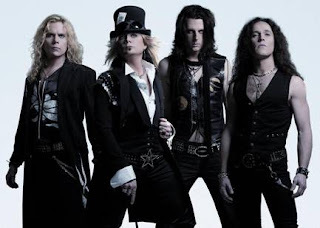 In August 2010, The Poodles formed a partnership with progressive label Frontiers Records in preparation for the release of a Live-album and a Live-DVD as well as an upcoming studio album. The Rockumentary DVD “In the Flesh” and the live CD “No Quarter” were released on November 8th 2010 in all territories and at the same time, work started on the fourth installment of the Poodles’ saga. “Performocracy” is the apt title of The Poodles’ fourth studio effort, due for release by Frontiers Records on April 15th 2011 in all territories. The title of the album is a combination of the words “Performance” and “Democracy”, meaning “The power of Performance” or “Rule by Performance”. The album was again produced by Mats Valentin, but this time Tobias Lindell (Europe, Mustasch) mixed the 12 outstanding tracks that make up the album. The first single off “Performocracy” is the track “Cuts like a knife”, which promises to entice both Poodles fans and anyone with a passion for rock n’ roll. A video produced by Steve Ravic, who also shot and produced “In the Flesh”, will accompany the release of the first single. Reflexion (FIN) - In the year 1996, three young guys were practicing hard and performing to the empty walls in their rehearsal place. They were blowing off their own hard rock oriented guitar riffs and also playing stuff from AC/DC, Metallica etc. During the time they were going on without vocalist. And also without any clue that behind the walls was something, or actually someone who could fill up the gap. Young guy called Juha Kylmänen was practicing in the next room and listened to these guys playing. He really adored them and the first thing, which came to his mind, was that he must get to their band. He sang his own melodies over their riffs and just waited for the right moment to get to know these guys. Everything that Juha had learned through his brother from such bands like Deep Purple and White Snake havent gone down the drain. So Kylmänen joined the band and soon they were ready to hit the studio for the recordings of their first demo tape. Nothing radical did not happened yet and most of the copies were sold hand-to-hand to their friends etc. During the times they played many great gigs and gained much success in their hometown Oulu. Years came by and couple of other demo tapes was also recorded during these years. With quality varying from harsh homemade productions to tight and hard rocking material. And the latter ones also paid attention of some record companies. But the negotiations did not yet lead to any further collaboration. Musical expression and the skills of the band were developing radically all the time. Each of them knew that it was just matter of time when suitable label would came up with satisfying deal. During the recordings of "Journey To Tragedy" promo tape in 2003, guys from A1 Music were working at the same studio. Right away, when they first listened to the stuff band was working on, the thing was clear. They noticed that lots of potential were smouldering in this band. Powerful output of the band and especially the skills of talented vocalist were the things that really worked. Band made a co-operation deal with A1 Music and after that it was time to start working seriously and unleash the hidden forces. Before the journey continued, some re-arrangements were made to line-up. Original keyboard player Antti and former bassist Petteri left the band at the end of the year 2004. Raymond knew the guy named Mikko Uusimaa and asked him to play bass in REFLEXION. He agreed immediately and the whole band stood behind the decision to continue with the new guy. Newborn line-up was harder than ever and more than ready for the glow of the flames. In the beginning of the year 2005 band signed a record deal with the A1 Metal and started recordings of their debut album on May 2005. Arttu Peljo and Mikko Tamminen - formerly known from band called Firevision - were chosen to produce the album. The soundscapes and background vocal parts they created became one of the characteristics for the new sound of REFLEXION. Album was finished during the autumn and the first single called "Undying Dreams" was released in 21st of September. It is a catchy song that represents the lighter side of the album, but brings out many new elements that has not earlier heard on bands music. At the same year band made its first gigs with the new line-up and played also couple of festival gigs in Finland. First single gained great success and spend three weeks in official Finnish top20 single charts. Second single called "Storm" was released on January and "Out of the dark" debut album on 15th of March. Via their brand new album "Dead to the Past, Blind for Tomorrow", band returns now to spread the virus more widely and passionately continue to conquest our ears. A long experience and remarkable songwriting amalgamate with typical Finnish melancholy which results in an exciting listening adventure. The band’s early love to acts like Metallica, Whitesnake, and AC/DC provides a fierily rocking kick throughout the tracks whilst Kylmänen showcase his varied vocals between bittersweet toughness and wistfulness. The outcome ensnares gothic people as much as alternative, pop or metal music listeners. Produced by Aksu Hanttu (Entwine), the album was recorded in three different cities in Finland: Oulu, Lahti and Helsinki. The first session took place already in March 2007 and the second followed in August. Vesa Ranta (ex-Sentenced) meanwhile took care of the visual realization and created the suitable artwork for the fervent album which lyrically offers themes about daily life occurrences , spiced with black humor and self-irony. After unleashing the crunchy online single "Weak and Tired" in January 2008, band returned with another anthem in February. With its irresistible piano lick, massive guitars and catchy melody, "Twilight Child" is nothing short of a breathtaking experience – a smashing, emotional hit tune that will rock your foundations. Now it’s time for further guitar power, melodies, glamor and emotions. Get ready to be Dead to the Past, Blind for Tomorrow. Lyriel (DE) - After founding the band in the fall of 2003, LYRIEL started presenting their compositions to local audiences. In the summer of 2004 LYRIEL signed a record contract with the independent label BLACK BARDS ENTERTAINMENT. In the beginning of 2005 their debut “PRISONWORLD” was finally released, and hit the record stores on January 17th, 2005. In addition, LYRIEL were honored to support ELIS during their “Dark Clouds in a Perfect Sky” tour, along with VISIONS OF ATLANTIS. Jessica's guest performance on XANDRIA's album “India” posed a further highlight of 2005. She appears as a guest vocalist in the song “Like a Rose on the Grave of Love”. In the fall of 2006 LYRIEL released their second album, “AUTUMNTALES”. It features Sabine Dünser (RIP), former front woman of ELIS, as a guest vocalist. Combined with Jessica's and Linda's voices she gave the song “My Favourite Dream” a very special sound. The band found a new label in the London-based FEMME METAL RECORDS. Around the middle of the year LYRIEL decided to digitally remaster and re-release their first two albums on a double-CD, “THE FIRST CHAPTERS”. On April 29th, 2010 LYRIEL released their third album “PARANOID CIRCUS”. Just as for their two earlier records, the feedback and interest have been tremendous, and the album keeps receiving positive criticism from both genre magazines and fans all over the world. On January 1st, 2011 LYRIEL signed a record contract with AFM Records. 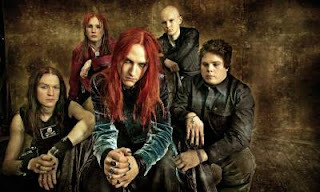 The baby break ends in March 2011, and as a comeback “PARANOID CIRCUS” will be re-released, featuring a new cover artwork. In the fall of 2011 the new, and the band's fourth, album will follow. Plans for the eagerly expected tour in 2011 are currently in the works. A Dream Of Poe (AZO) - A Dream of Poe is a solo Project by Miguel Santos, a well known musician and producer in the Azorean islands. Started in 2005, it was in October 2006 that A Dream of Poe releases his first work. Delirium Tremens was the name chosen for the first work of A Dream of Poe. With two songs and one cover this first work had great reviews through Europe. Only at 2007, it’s with the first edition of the festival “October Loud” (organized by Miguel Santos and a friend) that A Dream of Poe had his first opportunity to play live. For this opportunity A Dream of Poe had the help of several Azorean musicians. At November 18th 2008 was released as a free download the Live CD For a Glance of the Lost Lenore recorded at the festival “October Loud 2008”. At the same time it was uploaded to Youtube.com the videos of the live performance at the festival “October Loud”. Still in 2008, A Dream of Poe takes part of the tribute CD Echoes of a Morbid Death to the Azorean Metal Band Morbid Death with the song Gentle Whisper. 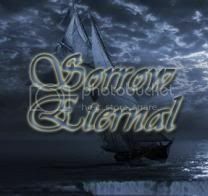 For the international tribute Mires of Sorrow to My Dying Bride, A Dream of Poe recorded the song For My Fallen Angel. The year of 2009 was entirely dedicated to the studio work. Due to many reasons the second studio work that had the release date to 2007 has suffered several delays. Two years after the original release date, at October 7th 2009, the EP Sorrow For The Lost Lenore was released. This work featured three original songs and two covers, Gentle Whisper and For My Fallen Angel. The EP was made available through internet as a free download. Six months after the release, Sorrow For The Lost Lenore was downloaded more than 1000 times! Playing since 2005 and after one demo, one Live CD and one EP, A Dream of Poe releases a new EP, Lady of Shalott, that is a preview for his upcoming Album, The Mirror of Deliverance, to be released in February 2011. Recorded between January and December 2010, the fourth studio work, The Mirror of Deliverance, will be released in February 25th. The Mirror of Deliverance features the new vocalist, João Melo, who gives voice to the new work. João is a very dynamic vocalist and we can hear his great melancholic voice and also his deep growl that makes this Album a new step for A Dream of Poe. This Album will be released through ARX Prod. and comes in an amazing digipack with the Artwork done by Augusto Peixoto. Eniac Requiem (USA) - ENIAC REQUIEM is a US band who,like DALI'S DILEMMA,released one brilliant progressive metal album and for whatever reasons never went on to release another one. Very little info is available on ENIAC REQUIEM.The line-up consisted of members Derek Taylor (vocals,guitars),Scott Stine (guitars),David Perry (bass),Rob Stankiewicz (drums) and Brett Stine (keyboards).The band released one album on Shrapnel Records,"Space Eternal Void" in 1998. The band broke up after the release of the album and other than drummer Rob Stankiewicz,who has gone on to play drums on guitarist MICHAEL HARRIS' solo albums and with his band THOUGHT CHAMBER,it is not known if the other members of ENIAC REQUIEM continued careers in music. "Space Eternal Void",if you can find it,is a highly recommended prog metal album.Showing definite SYMPHONY X and DREAM THEATER influences,ENIAC REQUIEM managed to,without being derivative,create their own brand of original prog metal. ~Enjoy! And thanks for support/choosing L&D Radio to fill your ears and mind with wonderful musik!